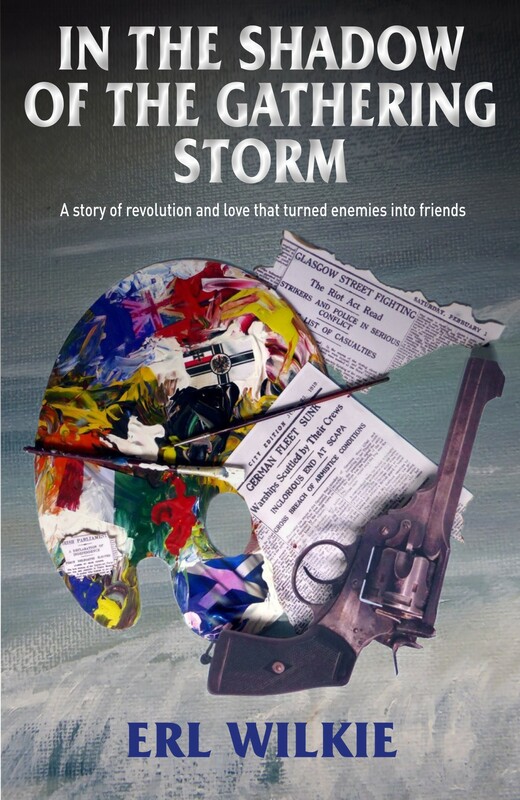 ‘IN THE SHADOW OF THE GATHERING STORM’ is now available on Kindle. It”s a compelling story of struggle, courage, determination and love during one of the 20th century’s most turbulent periods. As the First World War draws to an end, Petty Officer Johann Schettler is embroiled in a mutiny of German sailors. This action turns to revolution as the German people begin to remove the ruling class from power. Schettler is sent with the interned fleet to Scapa – suffering hardship and turmoil before escaping to Glasgow to reunite with his mother’s family. He meets Kate A’Herne in the midst of the battle of George Square. To escape from the security services they flee to Kate’s home in Ireland. In a short but blissful period, they fall in love. But bliss turns to horror as they endure the brutality of the British Army. They move to Dublin to help in the struggle for Irish Independence but find they’re still being hunted. Can they turn this to their advantage? You can read an account of the four historical events covered in the story here.